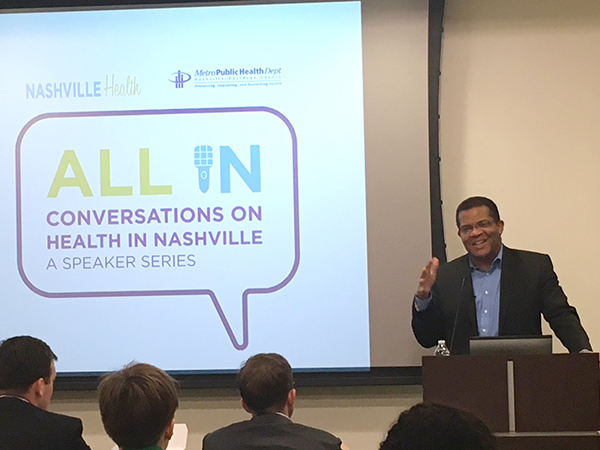 Last month, NashvilleHealth and the Metro Public Health Department launched All In: Conversations on Health in Nashville, a new speaker series devoted to addressing some of the city's most pressing health issues. Bringing together diverse stakeholders at the Lentz Public Health Center, the inaugural event kicked off with speaker Tony Iton, MD, JD, MPH, senior vice president of Healthy Communities at The California Endowment with oversight of a multimillion-dollar statewide commitment to advance policies and partnerships to improve health across California. Iton discussed the correlation and impact of where an individual lives on health outcomes and whether or not a person's zip code might be more important than their genetic code. Despite spending the most money on healthcare, life expectancy in the United States falls behind many other developed and developing nations. The World Factbook 2017, produced by the Central Intelligence Agency, ranks the United States 43rd out of 224 countries for life expectancy at birth. "Countries with the biggest income inequities have lower life expectancies overall," said Iton. "In the end, our biggest health risk might be inequality." A native of Canada, Iton moved to the United States in the mid-1980s for medical school at Johns Hopkins. Touring East Baltimore for the first time was shocking, he recalled. "I'd never seen anything like it in my life. To me, it looked like a war zone," he said of the inner city. The children he saw there had a very different experience than he had growing up in Montreal. Iton said he felt like Canada, which has a strong social contract, really invested in its citizens. 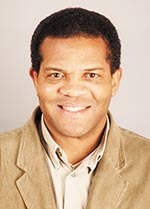 In his former position as director and county health officer for Alameda County Public Health Department, which includes San Francisco, Iton again saw that strong correlation between social strata and life expectancy. A self-described 'data junkie,' he looked at four variables among the county's approximately 10,000 annual deaths - cause, address, age at death, and ethnicity. What he found was the difference in black and white life expectancy in the 1960s was about 2.3 years but had increased to 7.8 years by 2005. Overlaying the life expectancy map with a census poverty map, 'death hot spots' appeared. He was quick to note Alameda County isn't an outlier. Some neighborhoods in Baltimore have a life expectancy in the high 50s compared to the national average of 78.6 years. "Everywhere we looked - everywhere - we found life expectancy differences of at least 12-15 years and in some cases up to 30 years," he said of the contrast between those with resources and those without. In early 2005, Iton and his team created a scatter gram focused on poverty and life expectancy and monetized the slope of the lines. 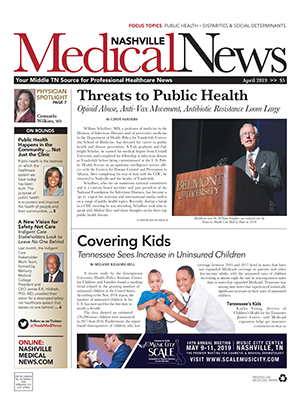 "Every additional $12,500 in household income buys one year of life expectancy," he noted. He added that chronic stress is probably a key differentiator. While everyone has stress, he noted, those with resources have options to counter stressors. There is a physiological difference between being 'stressed' and 'stressed out,' Iton said. Stress can increase cardiac output, available glucose, and enhance immune function. The hormone cascade in someone stressed out can lead to hypertension and cardiovascular disease, glucose intolerance and insulin resistance, and chronic infection and inflammation. In the traditional medical model, Iton said practitioners work downstream to try to change risk factors and behaviors - a $3 trillion enterprise he called "necessary but inadequate." Instead, he continued, there is a growing argument for changing the upstream socio-ecological factors for more lasting change. Despite, the country's large healthcare expenditure, outcomes still lag behind other nations. "We spend a lot and get relatively poor bang for the buck," Iton pointed out. Interestingly, however, when researchers created a graph that combined health expenditures and social service expenditures, the United States no longer looks like the big spender. For every $1 other nations - with better health outcomes and life expectancies - spend on healthcare, they spend about $2 on social services. In America, that's reversed with the nation investing about 55 cents in social services for every $1 spent on healthcare. "We don't spend more than others ... we just spend really, really badly," said Iton. "We have our accent on the wrong syllable." To change the story, Iton said you must first understand the narrative. He said it was intriguing to see how different people explained or defined poverty. In France, for example, those who were poor were most often described as 'unlucky' or 'having faced misfortune.' In the United States, the overarching theme was poor people are lazy and bring misfortune on themselves. "Those two narratives inform different policy approaches," he pointed out. Align with people who build power. Look at the dominant narrative and then think about opportunities to change that narrative. Bring 'the butcher, the baker, the candlestick maker' to the table. 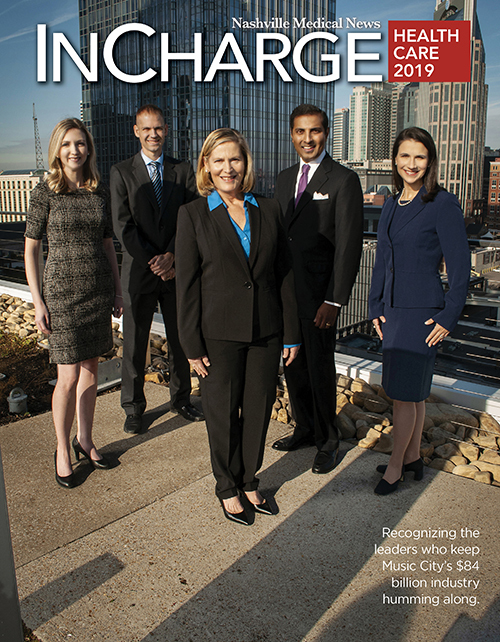 "You've got to radically bust silos," he concluded of working across disciplines to create sustainable change.